These Escape Lite Wheelchairs benefit the user by being lightweight and foldable, making them easy to transport and store, and offer comfort to the user. Can be used both indoors and outdoors. 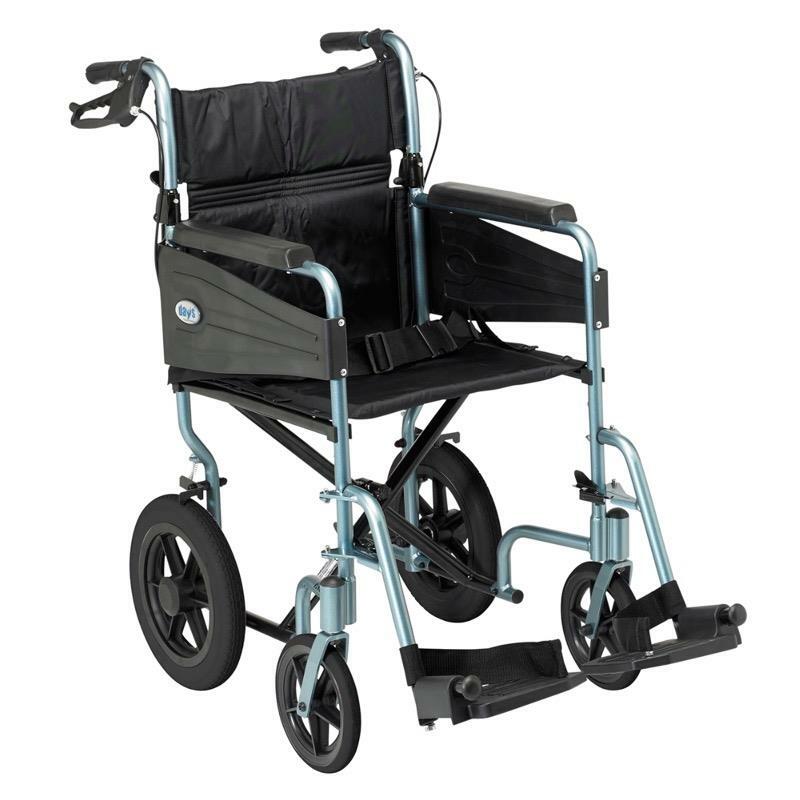 These Escape Lite Wheelchairs benefit the user by being lightweight and foldable, making them easy to transport and store, and offer comfort to the user, having a full length armrest, padded upholstery and detachable swingaway footrests. Can be used both indoors and outdoors. Comes with puncture proof front castors. Product Seat Width 18" or 16"
Front Wheel- 8 x1 "